NOTEBefore installing the extension, you must remove all Harmony offline and database preferences. 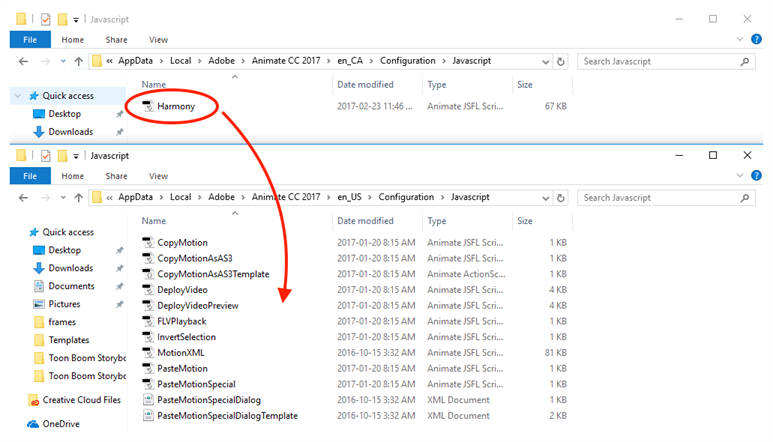 NOTEThe ExManCmd_win folder must not be deleted; this folder is necessary for installing or updating .zxp files. 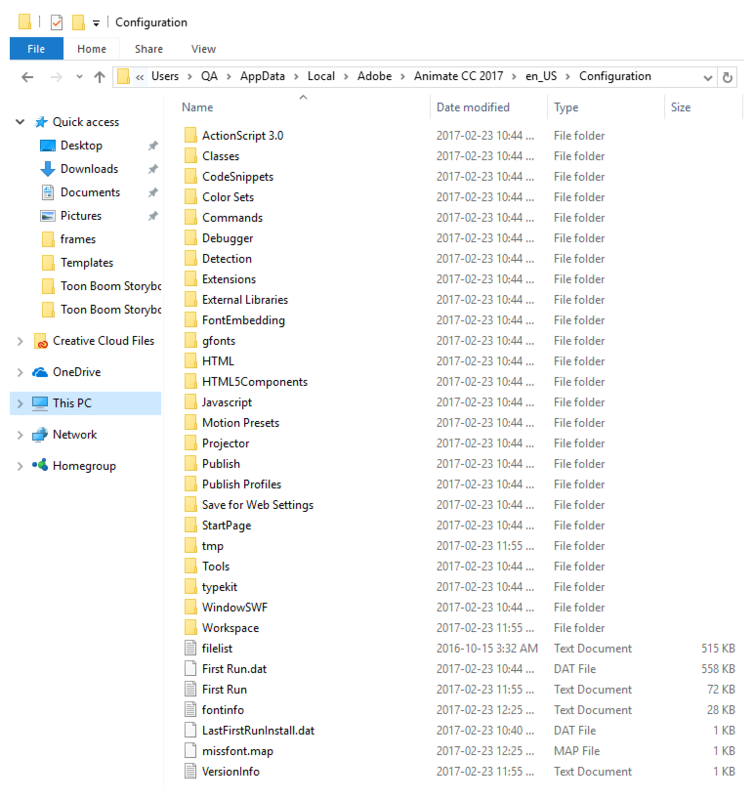 NOTEIf you have a region language other than English (US) installed on your computer, or if you have more than one language installed on your computer, Animate CC may not be able detect in which language folder the extension has been installed. 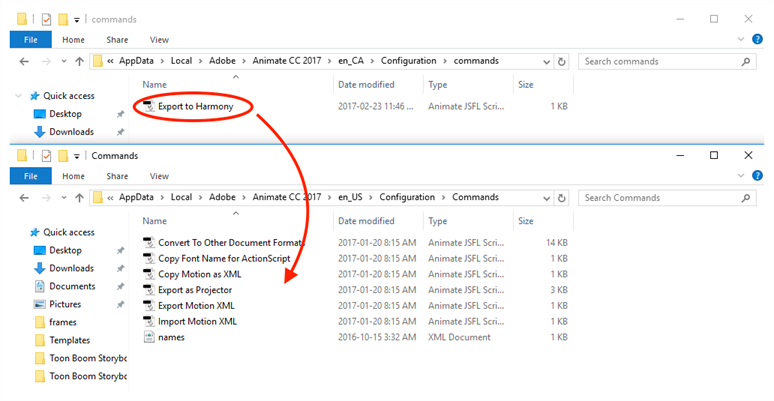 If this occurs, you will not be able to see the Export to Harmony menu option in Top Menu > Commands list. To correct this, proceed to How to ensure Adobe detects extension files installed on your computer. NOTEThe ExManCmd_mac folder must not be deleted; this folder is necessary for installing or updating .zxp files.